Operation Hope volunteer Ross Yellin, left, joins Operation Hope/Hope Coalition America Small Business Program Manager John Romano and Volunteer in Service to America (VISTA) member Sharon Greenberg during a special forum involving non-profit agencies helping small businesses impacted by Superstorm Sandy. 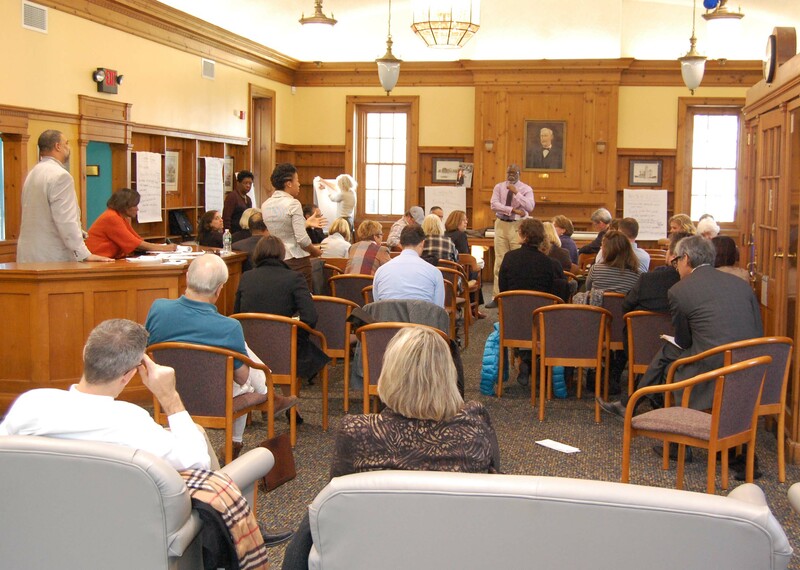 The forum was held on Dec. 12 at Mancini Hall in the Toms River branch of the Ocean County Library. TOMS RIVER Small business owners came Dec. 12 to the Toms River branch of the Ocean County Library to learn about the services provided by Operation Hope/Hope Coalition America, Citizen Corps, FEMA and the New Jersey Relief Fund. 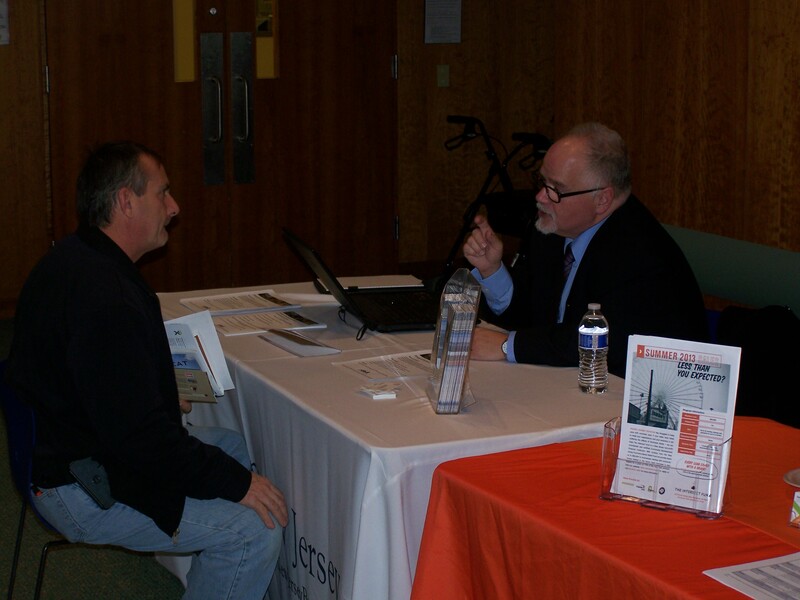 The library’s Mancini Hall featured six tables with representatives from various agencies who shared information about disaster recovery for small businesses in Ocean County. John Romano, small business program manager for Operation Hope/Hope Coalition America which has an office in Brick, said the aim of the day’s program was to provide advice and information about low interest loaning programs and resources to help small businesses impacted by Hurricane Sandy to recover. Hope Coalition America is the national emergency preparedness and assistance division of Operation Hope, Inc., America’s leading provider of economic empowerment tools and services. Romano said the organization is a collaboration of senior executives and professionals from the banking and financial services, insurance, and other industries. 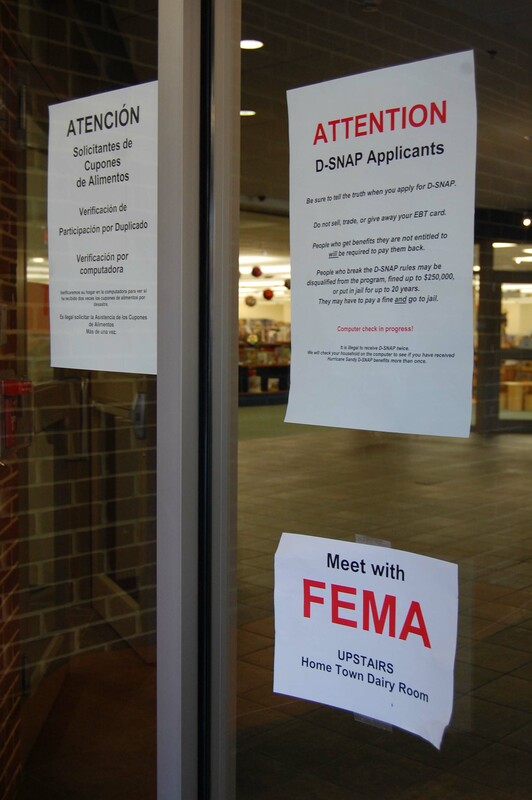 Additional participants include social service, and community services agencies, which provide financial and economic recovery information and guidance to individuals and small businesses affected by disasters. 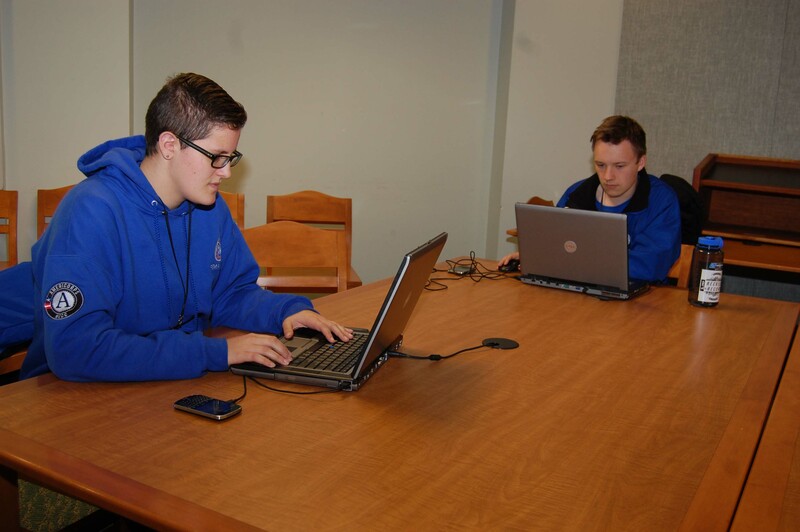 “We were very happy that the Ocean County Library was able to host this event,” Romano said. “We are doing what we can to help those still recovering from the storm,’’ Volunteer in Service to America (VISTA) member Sharon Greenberg said. 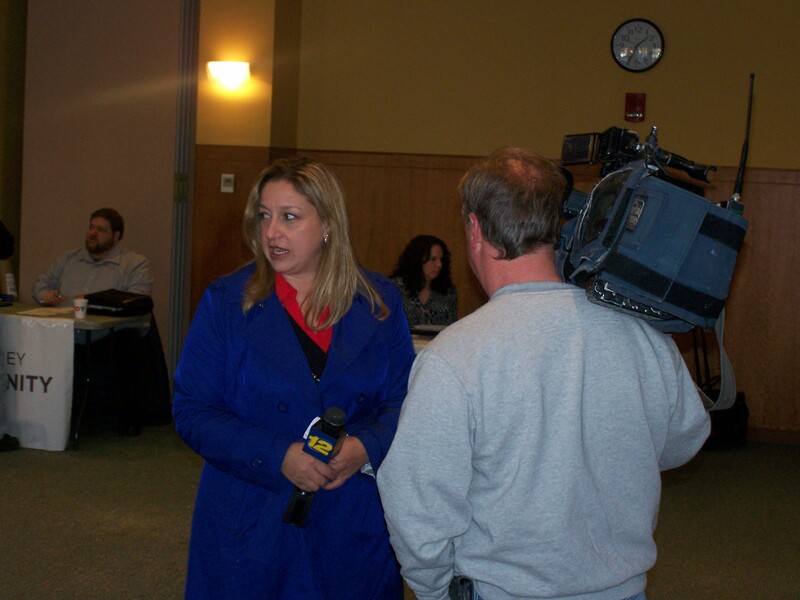 Channel 12 News was among the media that covered a Dec. 12 forum coordinated by Operation Hope/Hope Coalition America at Mancini Hall in the Toms River branch of the Ocean County Library. The event was aimed at helping small businesses affected by Superstorm Sandy and providing them resource information to recover. A business owner, seated at left, gets some advice from a representative at a Dec. 12 forum coordinated by Operation Hope/Hope Coalition America at Mancini Hall in the Toms River branch of the Ocean County Library.